Now, you can visit Google Trends and quickly see the top searches and trending topics from 13 countries organized into popular charts. 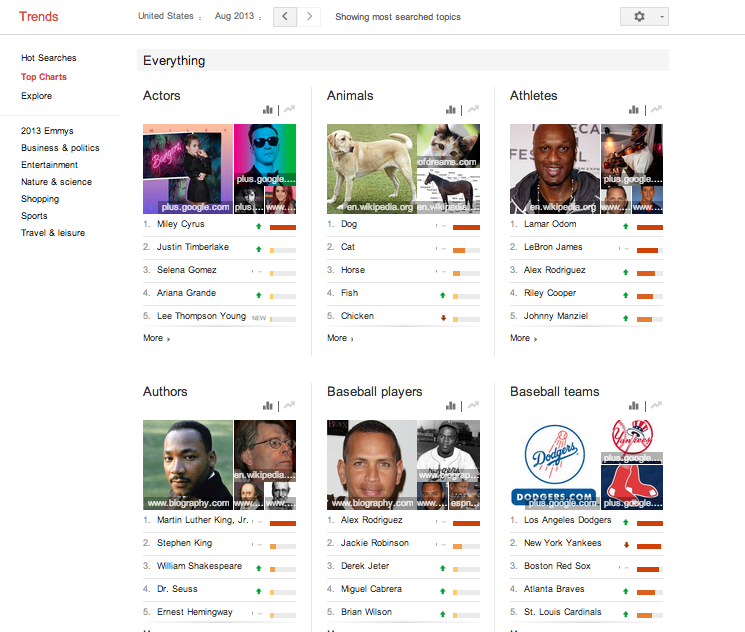 You also have the ability to view Google's Hot Searches in a calendar format to see the trends within a 30 day period. 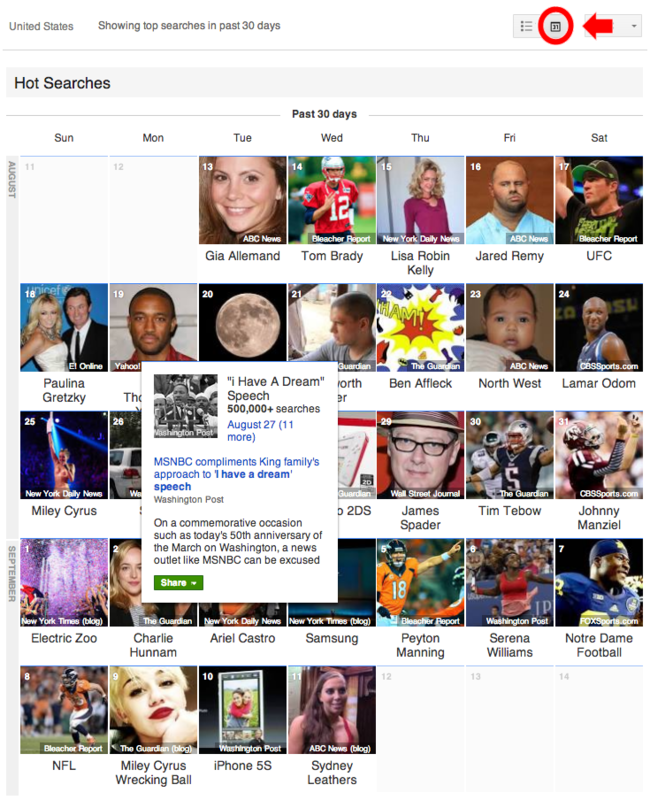 The top search of the day on Google will be summarized with a picture and a short caption. When your mouse hovers over a topic, you now get a snippet of information and a clickable link. See a screenshot below. The Explore page of Google Trends also has new search filters in place making it easier to specify the countries, categories and time ranges for their search terms.